While folks are still busy gearing up and getting ready for the first raid on the console version of Destiny 2, a listing for the first bit of DLC for the title has popped up on the Microsoft store. Titled "Curse of Osiris," this expansion seems to follow in the same suite as that "Taken King" for original Destiny by adding a new planet to explore (Mercury), new weapons and armor, new missions, and more. News of the DLC first leaked out via a story from Jason Schreier over at Kotaku. 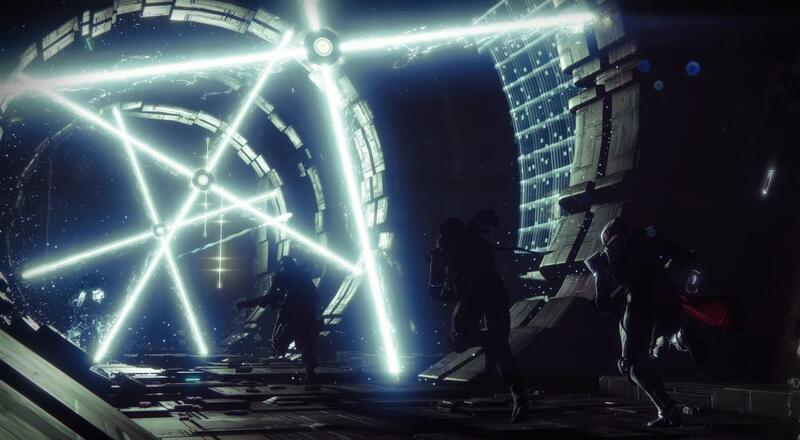 From that, it was revealed that the expansion would come out in December and include a new social space (the Lighthouse), a new patrol area on Mercury, and the story bits would revolve around rescuing Osiris from the Vex. The listing on the Microsoft store confirms the story bits and adds that there are new weapons/armor/missions. It's probably safe to assume that the "new cooperative activities" bullet point in that listing will include a new Raid. It's encouraging to see that Bungie is continuing with DLC more in line with the expansions that were released towards the end of Destiny than at its beginning. Hopefully, the game will be as fun to play in three months' time as it is now.